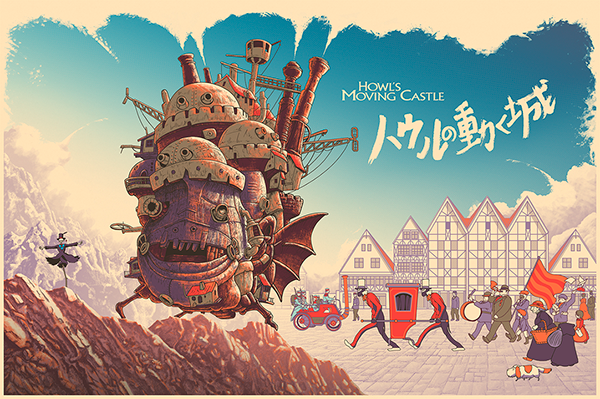 Howl's Moving Castle, 36″x 24″ screen print for Hero Complex Gallery, printed by VGKids. Howl's Moving Castle, 36″x 24″ screen print for Hero Complex Gallery, printed by VGKids. Regular edition of 350. Variant edition of 45.